We manufacturer small batches of customer-specific front panels. Front panels on housings are used as frames for controls, printed design elements, blank panels or mounting racks. Individually designed front panels are an important design element for your product. 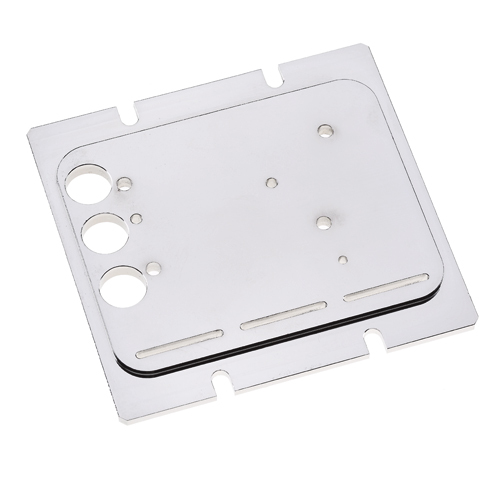 We can manufacture your front panels of aluminum, steel or plastic based on your drawings and specifications. Whether milled, cast or stamped – we manufacture your desired front panel with all of its penetrations, bolts and threads in a very economical manner, even in small batches. Quality is an essential feature. High dimensional accuracy and absolutely perfect surface treatment ensure satisfactory results and high customer satisfaction. Our experience in specific branches of industry guarantees the satisfaction of special requirements. Take advantage of our consultation as early as the design phase!